​Grayson is the S-union sales clerk. He works closely with Demitra and Deniece, flirting with the frequently and remaining rather charming overall. 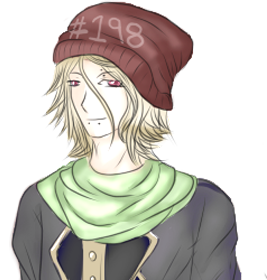 Despite his choice in fashion, Grayson is actually quite warm and friendly as well as a bit dramatic. He is rivals and friends with Anna, who has a crush on him. He spends very little time in Araysia other than at work. He was meant to be a pretty boy but ended up more or less like a skater boy.